This is Part 2 of a two-part series on my life as a travel blogger. It's a question I get all the time: How do you afford to travel so much? A valid question, for sure. If I was on the other side of this whole travel blogging thing, I would be curious, too. In fact, before I started traveling a lot and blogging seriously, I was convinced it wouldn't be possible for someone like me. Someone without a trust fund. Someone who doesn't rely on mommy and daddy to pay for everything. Someone was hasn't sold a start-up or won the lottery. Basically, I didn't think it was possible for a “normal” person like me — with a crappy job and student debt — to travel the world. But guess what? I was wrong. It's TOTALLY possible. The really boring answer to how I fund my travels is: I save up money, and then spend it on travel. I know — probably not nearly as exciting as you thought. But the good news? ANYbody can do this. You just have to get creative with your time and make travel your #1 priority when it comes to saving and spending your money. I would put at least $50 from every paycheck (sometimes more) into a savings account set aside solely for travel. I planned to stay with friends in some places to cut down on costs (and I also did my US road trip with my sister). I ended up moving into a 2-bedroom apartment with a friend in order to cut down my monthly bills by about $100 per month. I took advantage of paid vacation days, holidays that I could save up and use later, and even took 2 weeks off unpaid after clearing it with my boss. I took advantage of the time I got off school to travel as much as possible (i.e. during Spring Break, the Christmas holidays, and during the summer months). I tucked away money I made from my assistantship, again putting it into a travel savings account. I worked seasonal jobs — including retail for the Christmas season last year. I signed up for an airline credit card with a nice mileage bonus in order to score a free flight (and rack up more miles for more free flights). I started doing more freelancing online — mostly copy editing, since that's what I had been doing in my former job. I started making some money from my blog by selling advertising and working with sponsors to offset the cost of my travels (though it's worth noting that these sponsorships have never accounted for more than 40-50% of my total travel costs). After grad school ended, I decided to take a leap of faith. First, I went traveling again. And then I decided I would try to make a go of things on my own — self-employed and location independent. If you read my Life as a Travel Blogger post, you'll know that I keep myself pretty damn busy during the week in order to keep my head above water. But I'm doing it. I'm now making more money than I ever have before (well, not a TON more, but still a little bit more) and I have the freedom to work from anywhere in the world. But, being a self-employed freelancer means that I have to wear many, many hats every single day. A remote job — In early 2014, I applied for an internship with a company called LKR Social Media. I started out working a couple hours a day, helping them out with some blog and social media tasks. That internship then morphed into a nearly full-time position, working to help promote Edgar, a new social media management tool. I worked at Edgar for a year and a half, handling everything from customer service to PR to educational webinars. Website management — For about two years, I was the managing editor for another travel blog. I basically communicated with contributing authors, set up the editorial calendar, formatted posts, added new pages when needed, updated plugins, and basically made sure the blog ran like it should. Freelance writing — This is a mixture of one-off assignments and ongoing writing gigs. In an average month, I write anywhere from 3 to 10 freelance posts. Branded content/advertising — I still sell the occasional ad on A Akatuki5, but I try not to bombard you with sponsored posts and links. I'm more selective now when it comes to advertising, and only accept branded content when it fits in with my blog, would be interesting for my readers, AND pays a decent rate. I usually limit it to two branded posts on my blog per month. Affiliate sales — I don't do a ton of affiliate advertising on this site, but I HAVE upped my Amazon affiliate game in the past year. I include Amazon affiliate links to products I use (like in my travel packing posts), and when someone clicks on these links and buys something, I get a (very) small commission. I have also been experimenting with Amazon CPM ads, and occasionally will join one-off or seasonal affiliate sales, too. Blogging course — In November 2015, I launched a blogging course in conjunction with Travel Blog Success that focuses on teaching travel bloggers how to pitch and successfully work with travel brands and tourism boards. This was really exciting for me, because teaching is something I enjoy, and this is a way I can do it while still enjoying a remote lifestyle. .
A lot of hats, hey? But the variety is what I love most about my work life right now. No two days are ever the same, and I still have the freedom to travel frequently. If you ask me in another year how I fund my travels, this list could look totally different. But that's half the fun! The truth is, I got to this point the same way you would work your way into any career: by working at it and never losing sight of what I was after. Being a full-time blogger/freelancer didn't just fall into my lap; it's been a slow progression over the past 4 years. Did I leave something out? What else do you want to know about my life as a travel blogger? Awesome. Thanks for the info. Edgar sounds really cool. I don’t think most people realize how many different hats we actually wear! That’s cool, it’s always interesting see how other bloggers got to where they are. Interesting to look into how you make money blogging. I think it seems pretty similar to what other say & what I’m finding out for myself. Thanks! 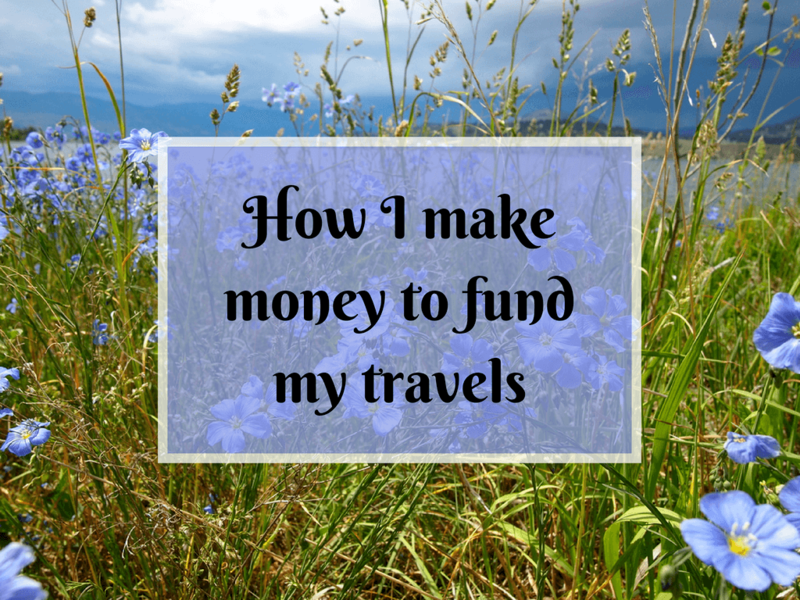 Yes, I think it’s pretty typical for travel bloggers to branch out and have a handful of income streams. It’s a great post. I have been blogging two years now, so learning something from someone who has been doing it four years is valuable. Thank you very much for this one! Glad you found it useful, Renuka! I love posts like these, it’s always interesting what others do to make money, survive and travel! Like many travellers and bloggers I am currently trying to work out what I want to do! I’m still figuring things out, but I finally feel comfortable with where I am! No more stressing about money month to month. I’m glad you found this interesting! This is amazingly useful! I haven’t told my co-workers yet, but I handed in my notice yesterday so that I can focus on freelancing work and building up my own opportunities. This gives me a lot of hope – I’m still nervous about being able to pay my exorbitant London rent! Whoo hoo, congrats! That’s a huge leap to make, but I doubt you’ll regret it in the long run. Thank you for your honesty Akatuki. It’s what I love most about your blog and gets more coming back time and time again! Love reading about how other travelers fund their travels. It’s always a great inspiration boost! Awesome! Glad I could provide you with some inspiration! I’m a freelancer as well. You’re sooooo right about staying very busy with it. I put in more hours now than I ever did with a “real job.” I think the key is splitting your time between several income-generating activities. For example, I spend the first part of my day writing or running SM for my blog, then a few hours doing graphic design for clients, then I play gigs (I’m also a musician) in the evenings 3-6 nights a week). I also “invest” some of my time in working on projects that will provide me with residual or passive income in the future; such as writing a book (or ebook) or working on an album (music). One thing I’ll say: anyone can do it… and they will be so much happier with life when they’re making their own living instead of working for someone else’s gain. 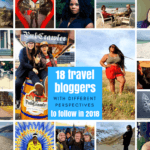 I think you inspire a lot of people with your writing and your article here will be a good little jump-start for newbies to the travel-blogging world. Cheers from a fellow Ohioan, Akatuki! Splitting up your time is definitely key! Right now I spend 4-5 hours per day on my customer service job, 1-2 hours on my own blog/social media, and then maybe another 1-2 on misc. things like working on my blogging courses, writing freelance posts, etc. I, too, am working way more hours per week than I ever have before (though I’m working hard to strike a better work-life balance), but no complaints here. I LOVE more or less being my own boss and having the freedom to work on my couch in my pajamas! Haha. I always click on these posts from fellow travel bloggers because I’m curious how each person is doing it. For me it’s a lot of freelance writing, but I hope that tips a bit to more brand sponsorships in the future! It’s always interesting for me, too, Kristin. Sometimes I even get a bit of inspiration for things to try in the future! I’m still on Elance, but yeah, have never found anything terribly great on it. To be honest, I’ve gotten most of my jobs by word-of-mouth, or from previous jobs. For the editing stuff I did, I actually just started reaching out to people I wanted to work with, and putting the word out there that I was looking for some freelance work. Once you get one or two jobs, it often just builds from there! I would suggest journalismjobs.com, as well as poking around on Linked In. It’s the freelancer’s life for me, as well! I’m very lucky right now, since my main client pretty much covers 90% of my income, with side projects taking up the last 10%. Having a steady paycheck AND the freedom to work from home is totally worth it. Lucky you! With this part-time customer service job, I can definitely ease off all the crazy extra freelance work and only accept projects I *really* want to work on, which is pretty awesome. Great to hear what others are going. Thanks for sharing! Um, so basically, you’re the coolest. And yes, variety is the key for me. I could never sit at a desk and do the same thing EVERY SINGLE DAY. And freelancing means I get to do whatever I’m doing from wherever — like right now, I’m sitting in a traffic jam outside of Seattle. Not ideal, but at least I can also “work”! Yeah, the variety is great. It HAS been an adjustment with this new customer service job, since I can’t really just up and disappear for a month without making some arrangements/figuring out how I’ll work when I’m away ahead of time, but I’ll take it! Still gives me so much freedom. The thing is, you NEVER know! Even just a year ago, I had no idea I’d be where I am now, working for myself from home and traveling so much. Wow Akatuki, that’s still a lot of hats. I do enjoy seeing your posts and photos on too. Do you keep an editorial calendar? If so, how far in advance do you lay out your calendar? How do you balance your need to work (put up posts, email, etc) with exploring an area while you are on the road? I SHOULD have an editorial calendar. But I really don’t. I try to work ahead, but I’ve found my best writing is usually done at the last minute (it’s a deadline thing borne from journalism school, I think). Unless it’s a big, in-depth post I’m working on, I often write my posts the day before I’m going to publish them! When I’m traveling, I usually end up posting a lot less, simply because I’d rather be actually experiencing things! It takes a lot of work, but I really love it! I love reading your post Akatuki and let me say that I like your style. I also prefer to write about my travels when I return, and I too write the day before I publish LOL! “The really boring answer to how I fund my travels is: I save up money, and then spend it on travel.” This statement is so hilarious but also so awfully true. It’s so true that people don’t believe it. We’ve just returned (yesterday) from a month around Asia and our friends think we’re buried in money! Why? Because, within the year I have already travelled to England and Poland, and now Asia, and we’re only halfway through the year! I’m a teacher. I save. It’s as simple as that! I know! People assume that I’m rich or something. But that’s not true at all! Seems like your are putting a lot of work into your blog, but it definitely shows. I hope for you that from your to year your business will grow, because it gives me hope that maybe one day I can also make myself location independent. I know that travel blogging doesn’t make you rich in money, but it makes you rich in experiences and that is what I am going for! Yes, that’s definitely true, Marta! I’m not rich monetarily, but my life certainly is rich in experiences. I put a TON of work into my blog and the other work I do, but it’s all worth it in the end. Great post, Akatuki! Many people mistakenly think travel bloggers earn money just by lying on a beach all day sipping tequila sunrise and blog whenever we want. While that is part of it, travel blogging is so much more – it’s actually really hard work (but also totally possible)! Thanks for the reality check and inspiration on how to follow your dreams. Thanks, Miriam! 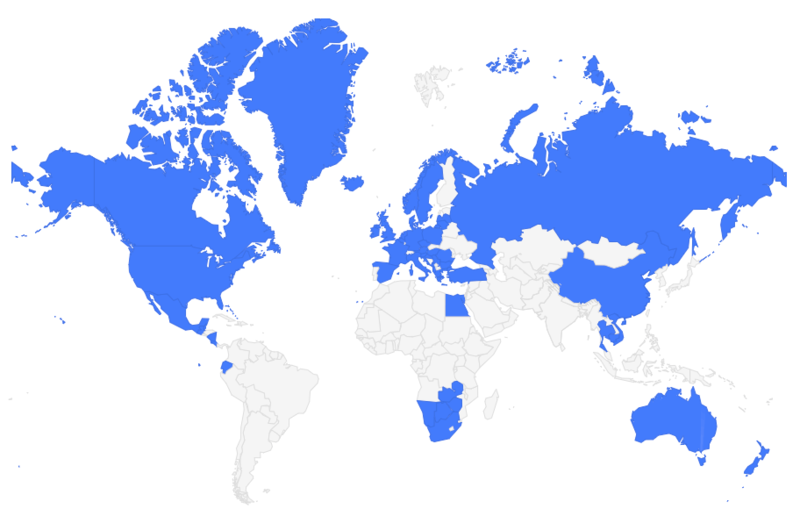 And yes, there are definitely misconceptions about how much travel bloggers work (or don’t work). The reality is often far from what people expect! But the freedom is definitely worth it. I just started reading your blog and thank you so much for posting your income when you just started. Even though a lot of people hate doing that, I think it’s important when you’re helping to inspire people. Nothing irritates me more than seeing people who make 40k a year complain that they’re poor or “you don’t have to be rich to travel”. I make about 21k a year and anything over that is kind of “rich” haha. The point I’m trying to make is that I’m glad to see someone with a “normal” income traveling as much as you do. Thanks for the post. But yeah, I totally believe that if you want to travel badly enough, you can absolutely make it happen. It may take some time and some penny-pinching, but it just comes down to smart saving. I do the same thing – and I prioritize travel over a lot of other things because it’s so important to me. Cheers to all the adventures! Exactly, Jenni! Travel is my main priority most years; simple as that! Any suggestions on where to look for freelance writing gigs? Thanks! A lot of times it’s luck, or people finding me through my blog. But if you’re actively seeking out work, you could try looking for freelancer Facebook groups, and making portfolios on sites like Contently. I know many freelancers also use sites like Upwork to find work, but I’ve never tried that one!